Sammy Davis, Jr. had collaborated on his two autobiographies, Yes I Can (1965) and Why Me? (1989), with authors Jane and Burt Boyar. Burt’s beloved wife Jane passed away in 1997, and three years later in 2000 Burt Boyar released a newly edited version of the two autobiographies combined, titled Sammy: An Autobiography. It was a great time to re-release Sammy’s memoirs. The 1996 movie Swingers, coinciding with the swing revival of the 1990s, helped popularise a grunge-era revival of a Rat Pack-era aesthetic. In November 1999, Rhino Records released a critically-acclaimed 4-CD box set of Sammy’s music, also titled Yes I Can. In January 2000, Warner Brothers announced a remake of the Rat Pack’s classic film Ocean’s 11, starring George Clooney, Brad Pitt and Julia Roberts. The release of the film in 2001 marked increasing interest in the halcyon days when Frank Sinatra, Dean Martin and Sammy Davis Jr. ruled Las Vegas. 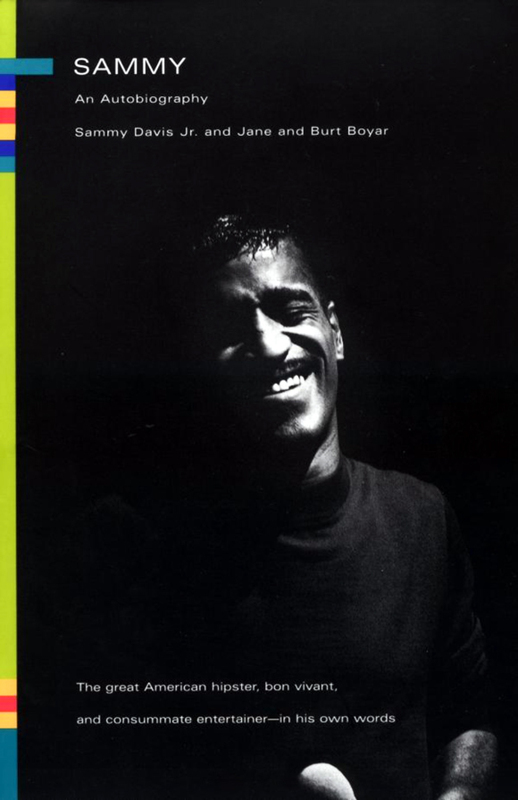 In 2001, Sammy Davis, Jr. was awarded a Lifetime Achievement Award at the Grammy Awards. In Why Me?, the Boyars had originally included a 134-page summary of the 630-page Yes I Can (which covered Sammy’s life until 1961). For this new volume, Burt Boyar edited Yes I Can down to 390 pages, and partnered it with a heavily-edited version of Why Me? (which covered the years 1961 to 1988). The Yes I Can portion makes up almost three-quarters of the book, which has the odd effect of squashing the latter 28 years of Sammy’s life into only 140 pages. 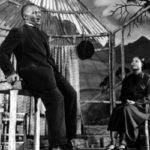 Some of Sammy’s most honest confessions, and passages of self-analysis from Why Me? are therefore missing. In addition, Boyar wrote for the new book both a new Prologue, explaining how Sammy and he and his wife had met (and describing the process that led to the creation of Yes I Can), and an Epilogue describing Sammy’s final days. So, while Sammy: An Autobiography might appear at first glance to be the definitive combination of Yes I Can and Why Me?, in actuality it provides a heavily abridged, but very accessible, summary of Sammy’s telling of his life story. 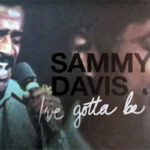 It is recommended to those with a passing interest in Sammy Davis, Jr. and his career. Considering that Yes I Can was a seminal celebrity autobiography and had a major cultural impact at the time of its publication, it is best read in its entirety. Considering also the material missing from Why Me?, it is recommended to find both Yes I Can and Why Me? in their original forms.